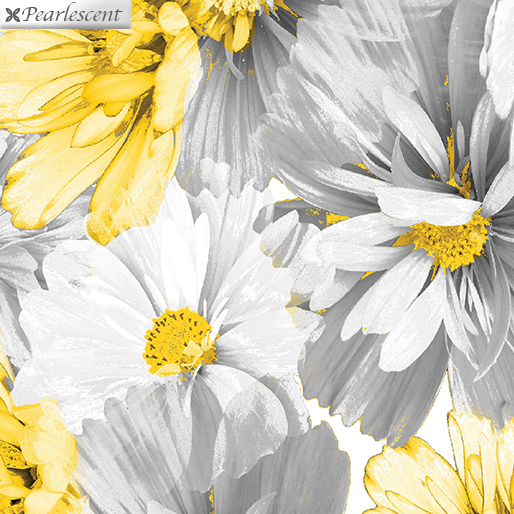 Big bold flowers in shades of gray, white and yellowwhat a stunning combination! The flowers seem to be bursting in bloom, filling the space with perfumed scent. The coordinates are equally imaginative: mosaic and star prints, abstract stripes, and more. The touches of pearlescent add the finishing touch.